Good looking and well thought out design. Probably the best compact estate car available. Volkswagen quality interior. Refined at speed. Not cheap. Five year 90k mile warranty costs £550 extra. 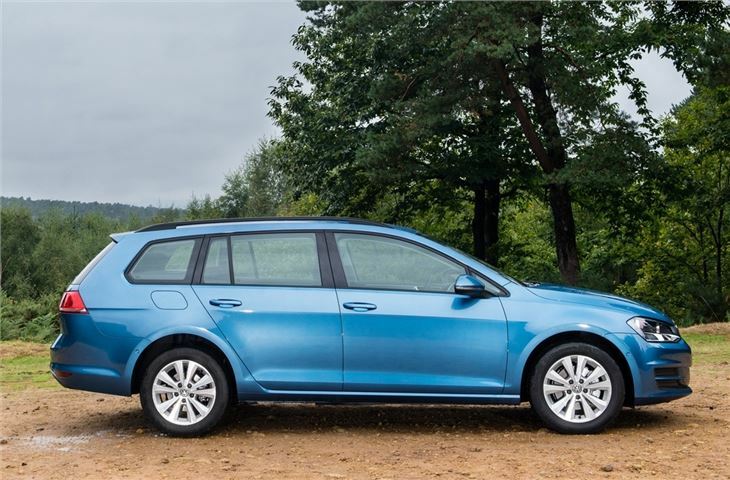 The load carrying version of the Golf offers the same excellent build quality, relaxed driving and high levels of technology as the hatchback, but with the added benefit of increased practicality thanks to a usefully large and well shaped load area. 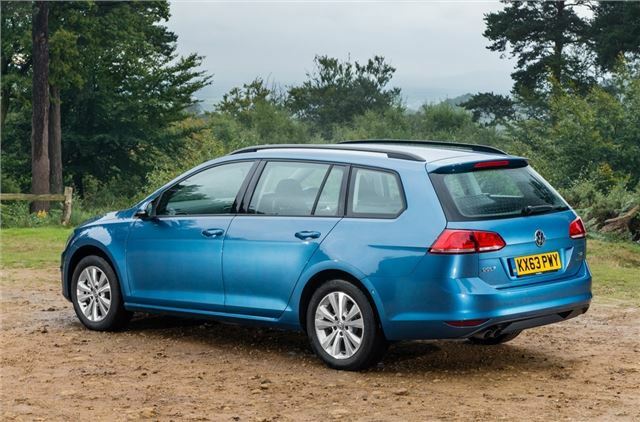 From the driver’s seat it’s more or less impossible to tell the Golf Estate apart from its hatchback counterpart. Not only does it look the same but everything from the steering feel and ride quality to the comfort and performance is similar so there's no compromise for choosing an estate version. Even the engine range and trim structure is the same. 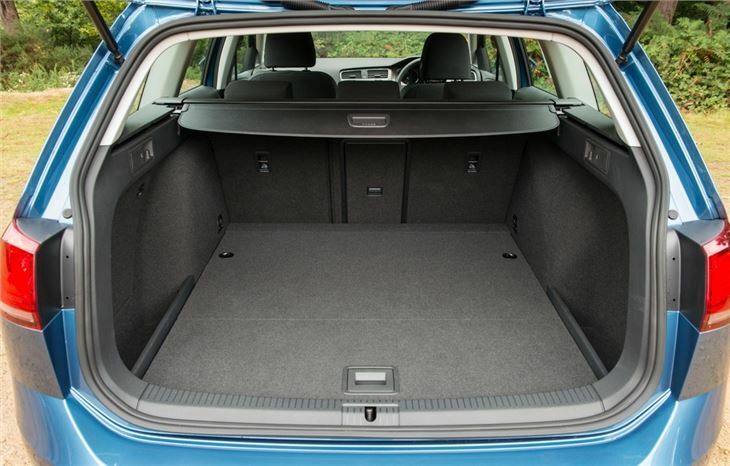 The differences only really become apparent when you open the boot, which has a capacity of 605 litres with the seats in place and 1620 litres with the seats folded forward. The boot floor is flat and low, so loading and unloading is very easy, plus there is a false floor to store items under and two storage bins for odds and ends. The engine range kicks off with a 1.2-litre 85PS petrol, with a choice of a further three petrol engines up to 140PS. 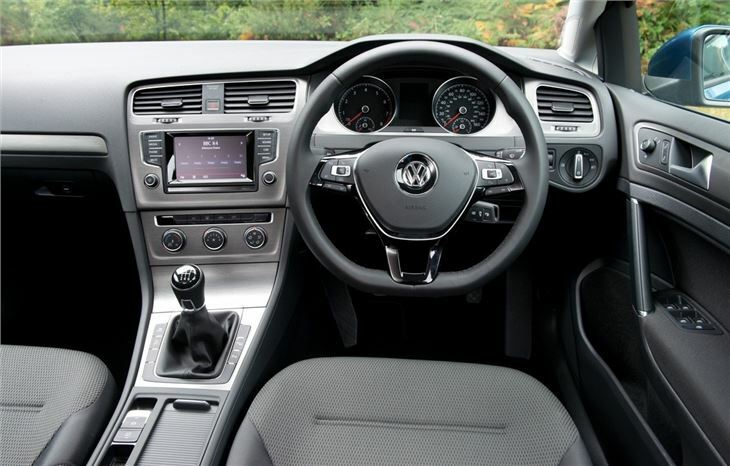 There are also four diesel engines ranging from a 90PS 1.6 TDI to a 150PS 2.0-litre TDI. 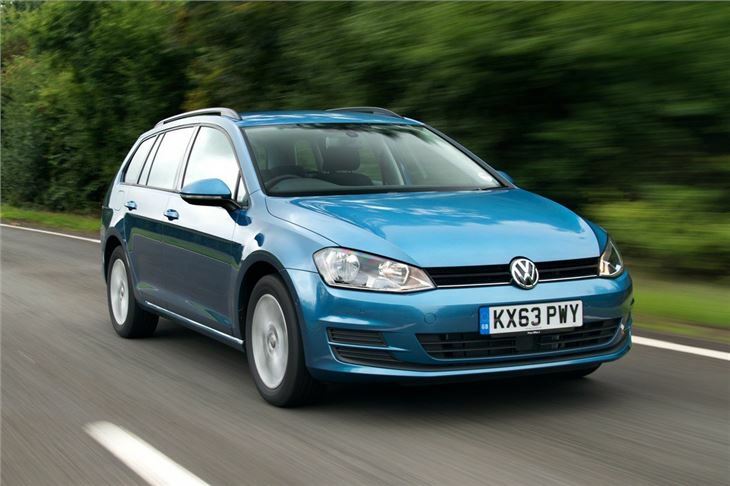 The most efficient engine is the 110PS BlueMotion, which manages an official 85.6mpg with emissions of 87g/km. 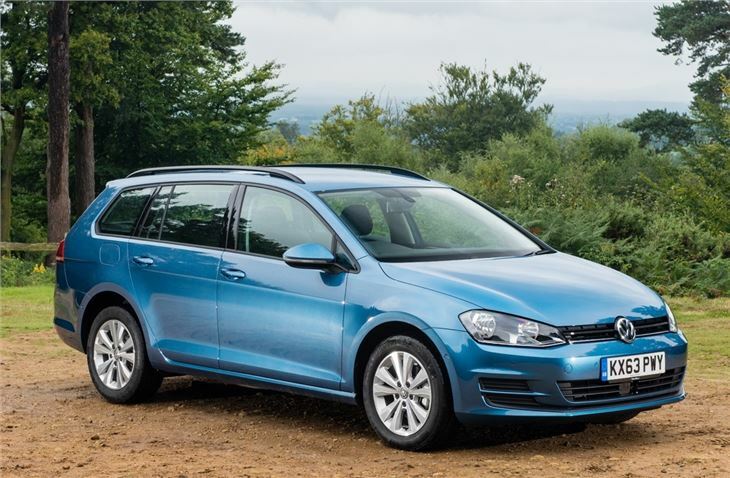 The Golf Estate manages to combine everything that’s good about the Golf hatchback with all the advantages you’d expect of an estate, which makes it a compelling buy. However it is worth remembering that the SEAT Leon ST and Skoda Octavia estate offer a very similar package - in fact they're based on the same platform - but are both cheaper. 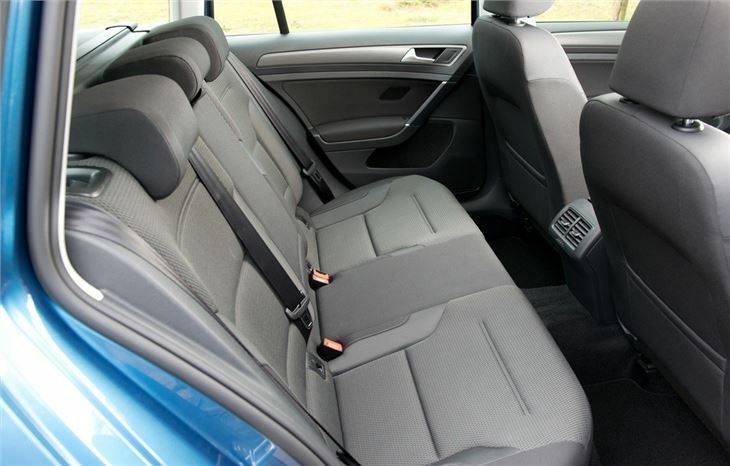 Refined, spacious, comfortable and economical. It does everything one needs .Sporty, comfortable, large carrying capacity .